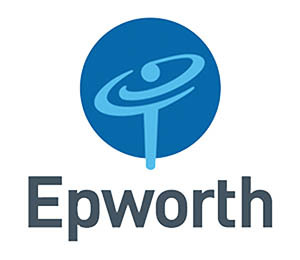 Epworth HealthCare was founded in 1920 and is now the largest not-for-profit private hospital group in Victoria, providing acute medical and surgical services, obstetrics, rehabilitation and mental health services. Epworth has eight hospitals in the Melbourne metropolitan area. In 2013 over 122,000 patients were admitted, 27,000 people attended the Emergency Department, 78,000 operations were performed and 3,418 babies were delivered. Epworth has more than 2000 accredited doctors and employs more than 5000 staff. Epworth is currently in the process of developing a new private hospital, Epworth Geelong, which will be a comprehensive acute and rehabilitation private hospital integrating clinical practice with teaching and research, located adjacent to Deakin University’s Waurn Ponds campus. Epworth recognises research and teaching as integral to achieving its goals and supports many projects across all areas of health, including collaborations with many universities, public sector hospitals and research institutions. For more information go to Epworth Healthcare’s website.